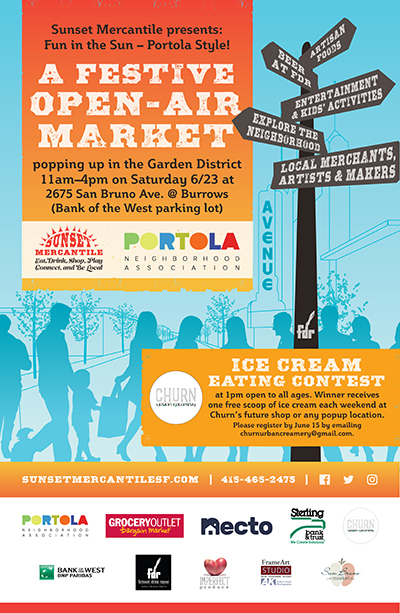 Join for some “Fun in the Sun-Portola Style” as Sunset Mercantile pops up in the heart of The Garden District. Featuring 30+ local makers, merchants, artists, yummy food, live entertainment. At 1 pm, there will be an ice cream eating contest (churn.com to register), live entertainment, children’s activities, happy hour prices at FDR brewery and community love. 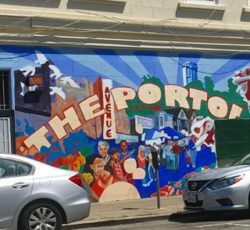 Come eat, drink, shop, play, connect and be local.